Mmmm, sounds delicious but what makes it Zambian?! The sweet potato and squash, the lemon grass? Apart from those, the ingredients sound like typical curry ingredients. I certainly wouldn't push my plate away! 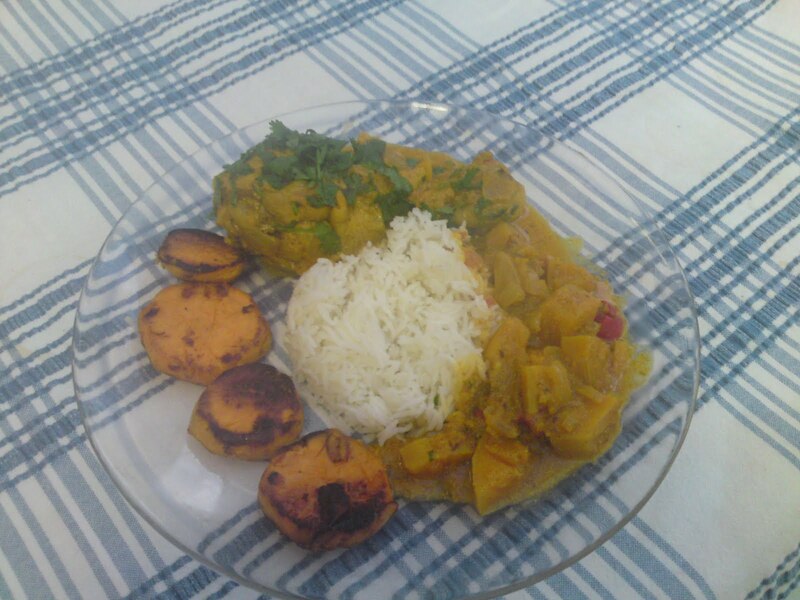 Lots of different countries have 'curries' they have become rather international, I would say this was Zambian because of the sweet potato and butternut squash but also because of the delicate spices used namely cardamom. I hope you get to enjoy this.